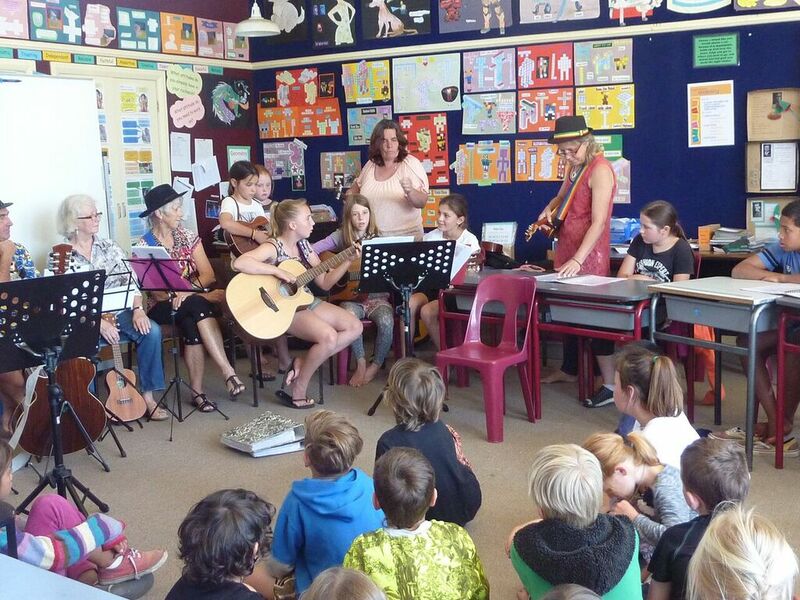 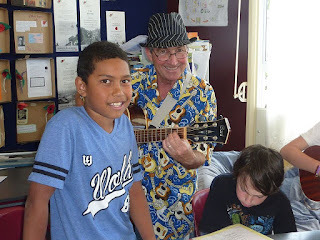 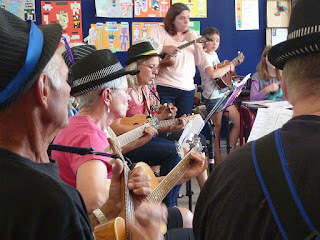 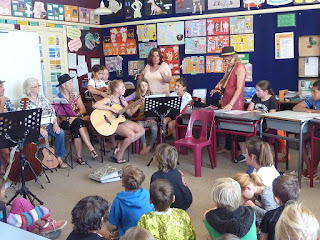 Last Tuesday musical melodies were floating from the senior room in a musical exchange between the senior students and Jenny Upsall's visiting Hahei Ukulele Group. 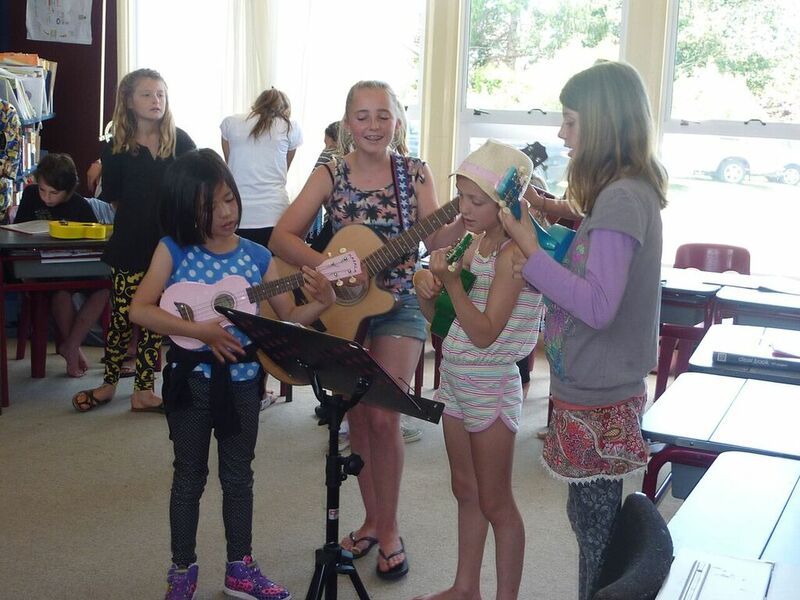 The Ukulele Group were impressed with the children's performance and keen to let them try out the different types of ukulele's including an amped base ukulele. 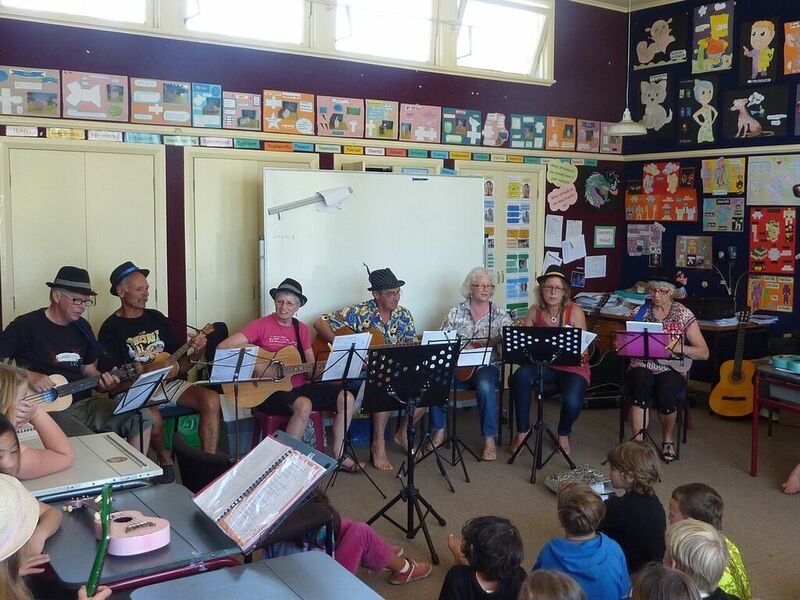 These picture were generously sent by Sue Dorrington of the Hahei Group.